Does Robert Downey Jr. Deserve To Be Hollywood's Highest Paid Actor? Thanks to a tidy relationship with Marvel, Robert Downey Jr. has set himself up for some really nice paydays. In fact, those paydays have been so nice in the past year that Downey Jr. tops Forbes’ big list of highest paid actors in Hollywood. Two of Downey Jr.’s recent films are The Avengers and Iron Man 3, movies that personally helped him to pull in $75 million and beat out the likes of Channing Tatum, Mark Wahlberg, and Hugh Jackman, but does he really deserve to be the highest paid actor in Hollywood? Tatum wasn’t far behind Downey Jr. this year. His prolific work ethic helped him to pull in $60 million over the past 12 months. This is thanks to paydays from movies like 21 Jump Street and Magic Mike, but also a few more recent films. This year, the actor hasn’t shown any signs of slowing down or cutting back on acting gigs, despite recently having his first child. So far this year he’s already appeared in This is the End, G.I.Joe: Retaliation, White House Down, and more. 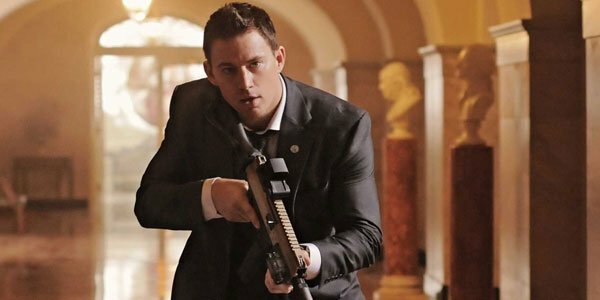 According to Forbes Tatum’s biggest payday came from Magic Mike, which was self-financed by the actor and director Steven Soderburgh and netted both financiers a lot of money. Rounding out the top three is Hugh Jackman, who popped up in Les Miserables, but otherwise had a fairly quiet year, only appearing in the failed Dreamworks flick Rise of the Guardians as the crotchety and sarcastic Easter Bunny. Jackman does have the newest X-Men movie, Wolverine coming up, which may have contributed to his recent monetary success. Other male actors in the top ten include Mark Wahlberg, who has a prolific producing career alongside appearing in movies from Ted to Pain & Gain, Dwayne Johnson, who appeared in Fast & Furious 6 and Pain & Gain, Leonardo DiCaprio, who had Django Unchained and The Great Gatsby over the past twelve months, and Adam Sandler, who appeared in the warm kiddie flick Hotel Transylvania and the stale adult flick Grown Ups 2. Those names were followed by some more veteran actors, including Tom Cruise, who popped up in Jack Reacher and Oblivion, Denzel Washington, who earned an Oscar nomination for Flight, and Liam Neeson, who appeared in The Grey and Taken 2. When we are talking actors making just a few paltry millions apart, it’s difficult to determine exactly if those actors are worth their weight in gold. Alternatively, it’s also tough to see someone like Tatum take on role after role after role while established actors like Downey Jr. pop up in one or two movies and make an obscene amount of money. Granted, in Downey Jr. ‘s case, his recent Marvel properties pulled in more than a billion dollars apiece worldwide, which are not exactly numbers to laugh at. His role as Tony Stark has made him beloved in many households and becoming a household name and finding a property that works is something that has fallen into Tatum's lap, yet.